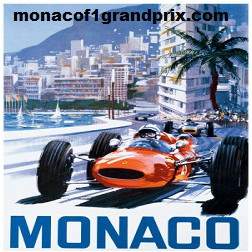 The easiest task in the World is persuading a Formula One fan they should go to the Monaco Grand Prix. The hardest part is convincing them how achievable that goal is. Personally, I’ve been going to the Monaco GP since 1994, and since that fateful season I’ve convinced hundreds, if not thousands of people through my travel writing to do the same. I’ve also created my own Tour business and lead everyone from first time travelers to multi-millionaire businessmen to that hallowed circuit. So what’s my point? Simple. If you’ve ever wondered what it would be like to see the Monaco GP live, I can show you, through these pages and regular updates, how to satisfy your curiosity or reach your goal – just as I’ve done for those hundreds of people who now know the thrill of attending the greatest, most glamorous sporting event in the World. Read through these pages and discover the pros and cons of using either packaged travel options or tours, and the type of traveler they are best suited to. Independent travelers will also find a wealth of information on where to stay, including the best hotels, private villas, and even camping options. You’ll also find the latest information on how to get there – by air, sea, road, and rail. Best of all, the Circuit Information pages (still to come) will give you an independent assessment of each of the grandstands, and the various options for viewing the race from either a boat, balcony, or restaurant. And don’t worry if your budget only stretches as far as General Admission – we know all the tricks that make GA as great a spectacle as any GS. Over the years, the greatest worry I’ve ever heard from Formula One fans is about purchasing tickets – so let us remove those fears. Take a look at our Monaco Grand Prix Tickets page - I'll update it with specific details regarding purchasing grandstand, balcony, restaurant, and yacht tickets as soon as they're confirmed. You don't get any closer to the action anywhere else - GO MONACO!